will increase your present retirement income, maybe doubled, tripled …? could help you retire earlier AND very comfortably? As you are still reading, I take it that you are interested in finding that extra hour a day to make a huge difference in your future; the comfort and happiness of your loved ones; either as a retiree, or in view of your approaching retirement. As you continue reading I will show how to find that extra hour that you don’t even know you have. To turn this missing hour into a very profitable business, from home, doing the things that you always loved doing, but never could, because of … “lack of time!“. 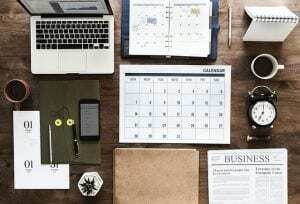 Setting up your business part-time is not easy. Because the pitfalls are not lacking. Among them: the lack of time. Trust me, I know all about it, and I will share with you my unique method that will enable you to free up that one hour a day and to turn it into to a profitable online business from home. Fortunately, it is possible to free up to 1 hour per day or more! Are you on fire to retire early? Please check this PLAN. You will discover 11 actions that you can easily take to save you the time you need to start your business part-time. Would you like to buy time? Up to an hour or more per day? An hour to help you start your business on the Internet; develop an audience; become independent and leave your boss once and for all, if you are still under employment; or to add a good chunk of money to your retirement income if you are already retired. And for that, you don’t even have to be a genius. Honestly, it is not by chance that I tell you this, because we all have the dream of saving an hour or more a day; even those who have answered no to my questions above. 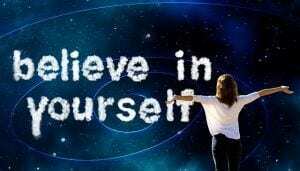 By answering yes, you simply proved that you believe in yourself, so, this is already half the battle won. Whether it is to start your activity on the Internet, to have free time for yourself or to spend more time with your loved ones, this hour is available for you to use as you wish. But it is not something you can do by snapping your fingers or manipulating a magic wand. You know it already: we all have 24 hours in our days. On average, in a day, you have 8 hours of work (if you still are on the 9 to 5); 6 to 8 hours of sleep; 1 to 2 hours of transport; 2 hours to eat all the meals of the day and 1 hour to care for our body, shower or take a bath. If we had to be content with that, we can conclude that we have about 7 hours of free time each day. In theory, it should not be a problem, because even if we have a job in the meantime, we still have plenty of time to work on a project. Unfortunately in practice, it’s not at all like that. Because in addition to hours of work, sleep and others, we find ourselves with other activities to take care of, namely hobbies, entertainment, sports, artistic, social, charity, etc. As a human being, it is only natural that we all have these sorts of activities in our daily lives. Otherwise, we would spend all our days dying of boredom with a deck of cards in hand, as was the case for our great grandparents. Suddenly, instead of finding yourself with 7 hours of free time, you find yourself in reality with crumbs. Between you and me, it’s a big problem! Because for most of us, it is this lack of time that we need to create our own little profitable business. Some manage to build their business, but for a large majority of us (and this may be your case), we have a lot of trouble to kick start our business. So much that we may end up with a nervous breakdown if we are not careful, exhausted with all our un-used strengths and resources, and disgusted for not being able to enjoy life like many other successful entrepreneurs. Apart from moving to settle on Jupiter or Saturn, it is scientifically impossible to live more than 24 hours in a day. So, it is quite useless to try to lengthen the duration of your days. Since we cannot create days of 25 hours or more, how can we manage to free one hour per day under such conditions? Before I explain how you can save time in your days, you first need to know why you cannot find that time for your business project. It’s very important to know that, because it will save you a lot of time, effort and maybe even money. Generally, when we cannot start our own business, whether on the Internet or elsewhere, we instantly believe that the problem is the lack of time. That is to say, we cannot even fit an hour for a project into our personal agenda. And to be honest with you, I am well placed to tell you that, because I had exactly the same problem. When I wanted to build my business at the same time as had a j.o.b to go to. But that’s not all, because early 2001, I decided to embark on the entrepreneurial adventure, especially on the Internet. So of course, at first, I thought that I did not have the time to start anything and thought of keeping a job at the same time. Because I thought that setting up an activity would require a lot of work, a lot of time, a lot of energy and a lot of money to get started. But, despite all the constraints I had, such as commuting distance, sports activities, the big stack of homework and the hours to train me in marketing, I managed to find some free time. I don’t mean to tell you that I managed to free myself 10 hours a day as if by magic, it would be to pretend to be a Mythomaniac by telling you that. On the other hand, I managed to free myself an hour a day at least. And in some exceptional cases, I even managed to free myself 4 hours in my days. In short, all this to say that despite my research, my job alternately and all the constraints I had, I could find free time to work on my business project. First of all, are we really lacking free time? Honestly, in 95% of cases, it is very likely that you are are not short of any free time. Because in reality, you have more free time than you think. We are not going to lie to each other: if at this moment you can read these lines, it is because somewhere you have managed to find some free time. To put it simply, free time is like an iceberg. 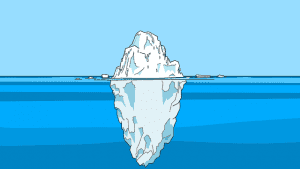 It is known that 90% of an iceberg is under the surface of the water (this is called the hidden side of the iceberg). In the same way that we underestimate the size of an iceberg, we all tend to underestimate the free time we have. So, one may wonder if the real problem is not the lack of time, but rather a lack of priority. That is, the real problem is that we do not know how to differentiate between a priority activity and an activity that is not. That’s why we cannot find free time to move forward on our project, whether to launch an activity on the Internet or otherwise. And you know why ? Because we have not defined our priorities in advance. Basically, it’s like playing roulette by betting $1 on all the numbers at each turn. In this way, you may win a few rounds, but you will have a hard time winning the game; or even less to win the jackpot, because you will cause a lot of loss in the meantime. However, if you decided to bet big on a limited number of numbers, then you have more chances to win the game and to hit the jackpot. And so, if you come to understand that your real problem is not a lack of time, but a lack of priority, then you have taken a big step forward. Because understanding this, you will realize that the time needed to work on your business project has always been there. It was just necessary to make it a priority. Talking about priority, tell me what are your priorities? I am now inviting you to take something to write and to take note of all of them before continuing to read the rest of this article. Because it will serve as a basis for everything else; not to mention that your chances of finding free time will skyrocket. Once you have written down your priorities on a sheet of paper (or your computer note pad), then at that point, you will be ready to discover the many ways to gain one hour a day. And to choose those that will help you progress with your priorities. How to make money from home in your spare time. This is not a new project – $1 dollar project – but it will work for you if you follow all instructions. Please check this PROJECT. Before we begin, know that the list we are going to work on is not an exhaustive list, there are surely other ways to save one hour per day and use it to supplement your present or future retirement income. If you know of any, do not hesitate to share it in the comments section at the bottom of this article, it can help some readers who are in the same boat as you. Anyway, are you ready to devour everything? 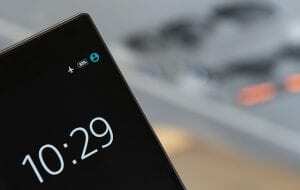 We are not going to lie, we are all more or less addicted to smartphones, at a point where we spend more than an hour a day on it (according to an article I read on Forbes). Why? Because it’s texting, notifications, apps, instant messengers, and so on, that push us to spend a lot of time on our smartphones. So, it’s no longer you who make the law, it’s your smartphone that makes the law. It’s your smartphone that decides what you have to do with your days. And that is very annoying, especially if you want to start your activity on the web and become free of your boss. So of course, the idea behind all this, it’s going to be to return the process; that is to say, to become again the person who decides whether or not, you want to spend time on your smartphone. How to do that? First, you have to remove all notifications from your smartphone, ie Facebook, Skype, Messenger, Mail, etc. Then, make it a habit of putting your smartphone in “airplane mode” every time you work on your project (that’s what I did, right now, it’s in airplane mode). And finally, last thing, set a time frame where you do not have the right to touch your smartphone and one where you will have the right to use it. In this way, you will become the ONLY master of your smartphone. You know, many of us want to start an activity on the web, but for many, there is THE BOSS who is always present. Which forces us to work in the evening on our project. Why ? Because in general, when we come home from work, we do not feel like working on our project. We want to do only one thing: to sit on the couch! It is not for nothing that we jump on the sofa at the end of the day, because a day of work exhausts us literally. Then, once we hit the couch, we tend to postpone until tomorrow what we promised us to do tonight; that is to say, work on our business project. Then we do the same thing again the next day; the day after tomorrow; then the following day; and so on. It becomes a vicious circle. Between you and me, we’ve all done it before. Including me. So, if you really want to save an hour a day for your business project, postpone it and do the work in the early morning. In short, how? Already, you need to define the time that you will need to work on your project in the morning, in general, a minimum of an hour. Then you will have to learn to get up earlier than usual, for example, to get up at 6:00 am instead of 7:00 am. Not to mention that you will have to set the time you have to go to bed earlier to make sure you get up earlier. And finally, get in the habit of working early on your project. In this way, you will save an hour each day to start your activity; you will tend to procrastinate less and above all, you will have the evening just to rest. Pretty good plan huh! You can read this useful book or get real help from this top-earner. How? Just learn from him how to make profits from other’s people products. Join the TEAM. Often, when we want to launch an activity on the web and we do not have all day to do it. We tend to overload things to do, despite the short time available. For example, write an article, make a podcast, reply to e-mails, reply to comments, update our blog, modify our landing page, create a logo, contact a partner, etc. Well, it’s good to want to do your best to start your activity on the web. It shows that you are serious about it. Only thing, if you really want to save time, know that it is not a good idea to proceed in this way. 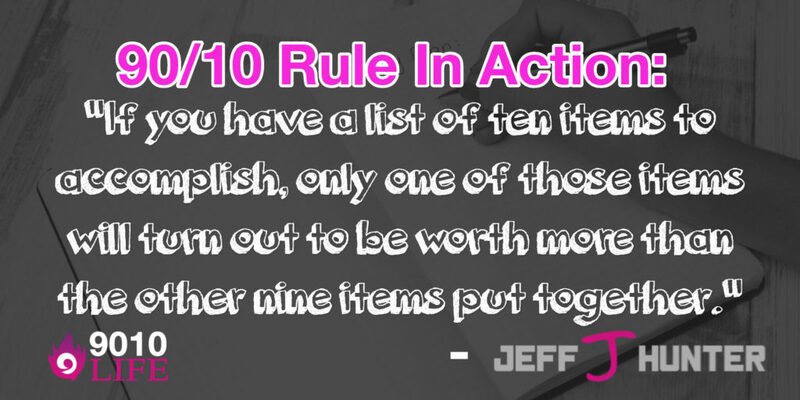 Because it is not by doing many things that you will start your activity on the web 10 times faster. You can do a lot of things in a very short time, like 30 tasks in an hour; maybe it’s possible. Except that among these 30 tasks performed, most of them have no impact on your web activity. 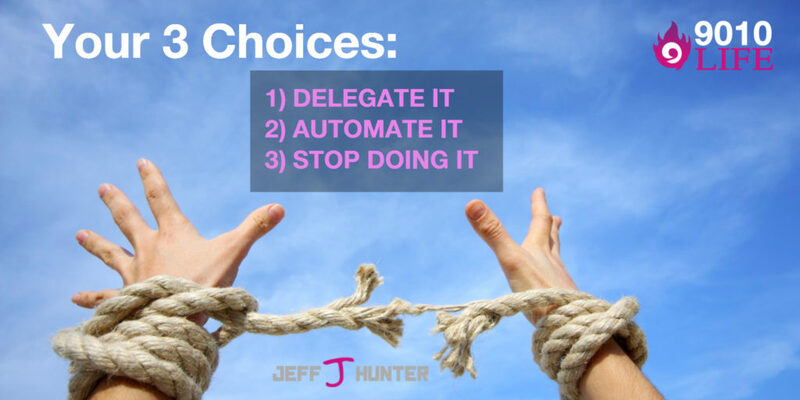 Do you know why most tasks are useless? Because there are really very few things that have a huge impact on your business project. For example, updating your WordPress blog has no more impact than posting a guest article to a blogger. Because by publishing on your blog, you will gain a lot of visibility; while by doing a simple update on your blog, you might not have earned a single extra potential customer. So, instead of saving time by doing a lot of things, you waste your time doing unnecessary things. I know, it’s completely counter-intuitive what I’m telling you, even I did not believe it a few years ago. Yet, I learned the truth by doing the exact opposite. I can tell you that it hurt my ego when I perceived the difference. In short, how can you avoid doing this? The first thing you need to do is understand that the amount of finished work does not mean that you will progress faster. 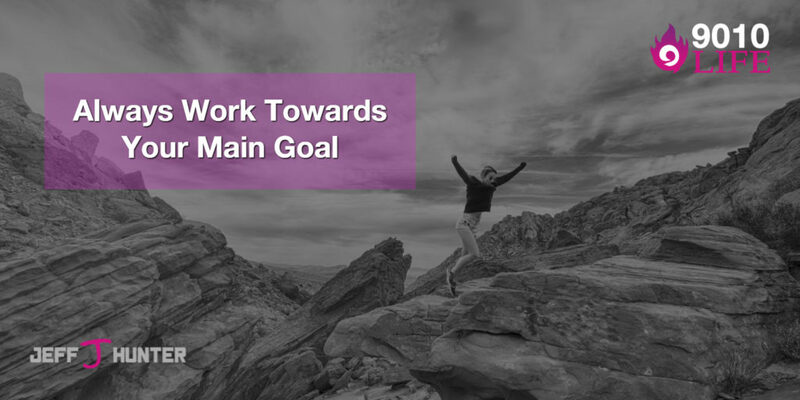 Then, from the moment you understand that, you need to identify the essential tasks of your business. For this, you will need to make a table in 2 columns. One column for all essential tasks for your business and another column for all non-essential tasks. Train myself in efficiency and marketing. I advise you to reserve a good half hour to complete your table of essential tasks and non-essential tasks. 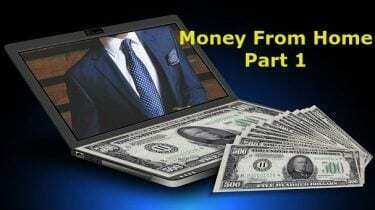 Once completed, you can continue to Part 2 of how to make money from home in your spare time. (Part 2 coming soon). Is it easy to retire early and with comfort? Please check this PLAN.